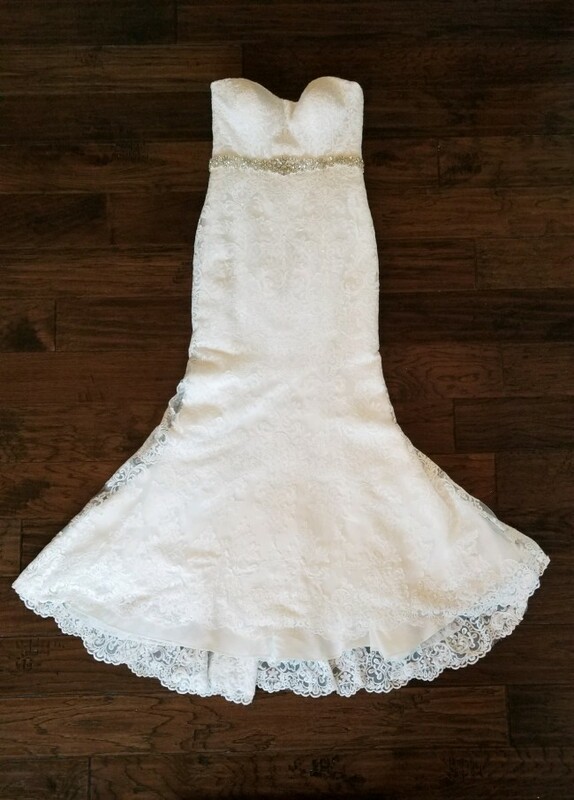 Beautiful ivory lace wedding dress in excellent condition with a sweetheart neckline, button back, and an attached beaded sash (can easily be removed). The dress is a size 10 (street size 6/8), has been hemmed (is perfect for someone around 5'3" wearing flats), and bra cups added. The dress was worn once in September 2017 and professionally cleaned. The dress brand is Allure Romance style 2903, and originally retails for $1,400. The dress has been hemmed (is perfect for someone around 5'3" wearing flats) and bra cups added.